LONDON, UK. 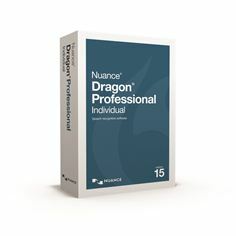 – August 16, 2016 – Nuance Communications, Inc. (NASDAQ: NUAN) today announced its new suite ofDragon professional productivity solutions for PC and Mac that leverage Nuance Deep Learning technology to deliver upwards of 24 percent greater accuracy driving new levels of documentation productivity for professionals. The new Dragon releases include Dragon Professional Individual, version 15 and Dragon Professional Individual for Mac, version 6, and feature powerful dictation, transcription and customisation capabilities. All these solutions also sync vocabulary customisations and auto-texts with Nuance Dragon Anywhere, available separately, to extend the benefits of professional-grade speech recognition to mobile devices running iOS or Android. Dragon speech recognition accuracy, speed and personalisation have long set the standard for voice productivity on the Mac, PC and mobile devices. And with Deep Learning technology at the core of its speech engine, Dragon delivers increased accuracy for even more users, with an enhanced ability to learn the individuals’ voice patterns and accents, and deftly adapt to acoustics in open office or mobile environments. This latest Dragon release marks the first time Deep Learning capabilities can run embedded on a personal computer leveraging a users’ own speech data to improve their own language and acoustic model. The new Dragon also brings with it advanced transcription, powerful customisation, and an improved ability to work with portable touchscreen PCs, extending the benefits of speech recognition to more mobile use cases and environments. As a result, documents are completed with higher accuracy in a fraction of the time, giving professionals across a number of industries – such as legal, public safety, social services and education – the ability to focus more on mission-critical tasks. Contextual guidance tailored to user behavior, as well as improved help to get new users up to speed quickly or for existing users to easily further discover the power of Dragon. Dragon Professional Individual for Mac, version 6, empowers busy professionals to quickly and accurately complete documentation and reporting on the Mac by boasting accuracy improvements of up to 24 percent, without training, over previous versions. The solution features contextual guidance tailored to an individual’s usage, as well as improved help to get new users up to speed quickly or for existing users to easily further discover the power of Dragon. In addition to enabling professionals to quickly and accurately dictate reports, spreadsheets, emails, and other documentation, the solution now offers a transcription Batch Mode to save time transcribing multiple audio files. Dragon Professional Individual for Mac also empowers users to work even more quickly and accurately by voice with support for Full Text Control within the latest business applications. Dragon Professional Individual for Mac leverages Apple’s Accessibility API to support Apple Pages, Apple Keynote, Apple Numbers, Microsoft Outlook 2016, and Scrivener, among others. Additionally, Dragon Professional Individual and Dragon Individual Professional for Mac can be synchronised with the Dragon Anywhere mobile app for Android and iOS devices, enabling a powerful cross-device experience so that professionals can use the same vocabulary customisations and auto-text commands wherever they use Dragon. Join the conversation by liking Nuance on Facebook, following Nuance on Twitter at @NuanceUk, and subscribing to theWhat’s next blog.